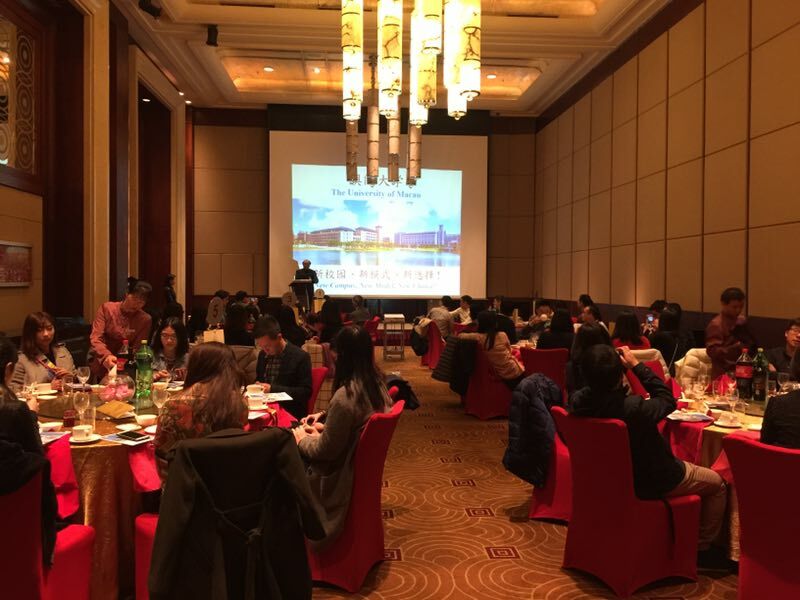 With the assistance of a group of alumni in Shenzhen, “Alumni Reunion Dinner” was successful held at Four Points by Sheraton Shenzhen on 25 February 2017, around 60 alumni were in attendance. The dinner aims to build professional networks and connections that can lead to opportunities of making a contribution to the Alma Mater, facilitating job cooperation between alumni and assisting the Alma Mater to nurture young generation. 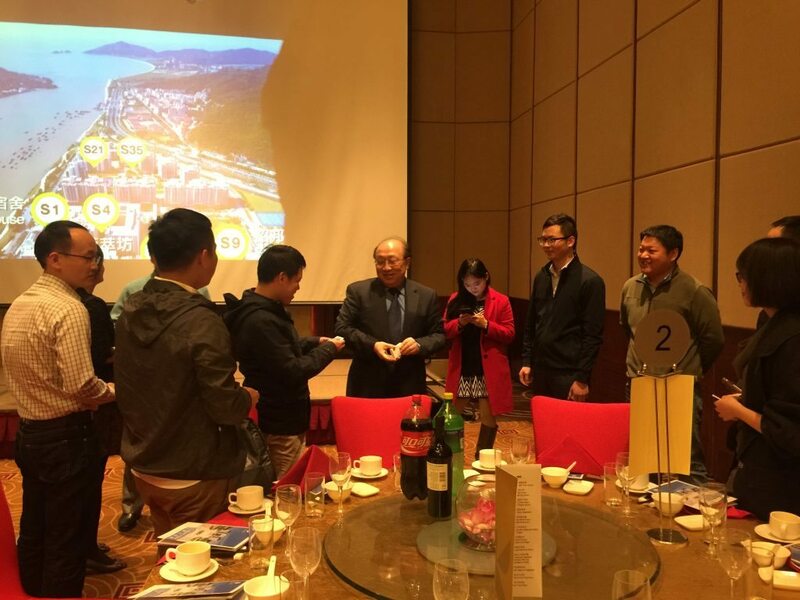 The dinner was delighted to be joined by Rector, Prof. Wei Zhao, Dean of Faculty of Business Administration, Prof. Jacky So and Director of ADO, Mr. Peng Chun Vong. The dinner started with welcome note from Rector, Prof. Wei Zhao and he reported the progress of UM development, including the outcome of the 4-in-1 Education, campus environment, residential college life and the academic outcome. He also hoped alumni groups in different regions could be allied to support the Alma Mater. 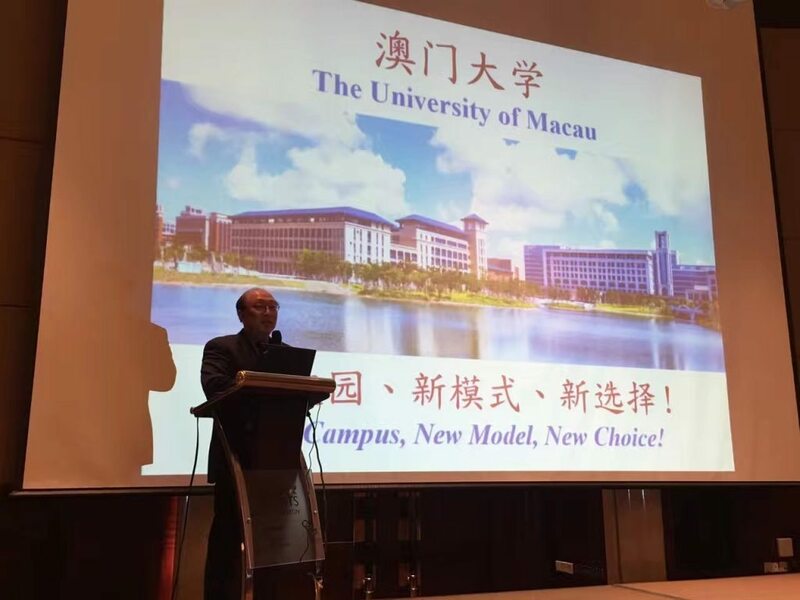 Afterwards, the promotion video of UM’s latest development in talent cultivation, academic achievement and campus construction were shown subsequently to update the alumni. During the dinner, they mingled with the classmates, and looked forward to join more alumni gatherings in this region.